We thought that it would be fun to occasionally post some of the images that have been inspired by our reading adventures. My very talented cousin and co-blogger, Ally, loves the Marauders from Harry Potter and gave me this wonderful drawing of the four of them for my birthday earlier this year. 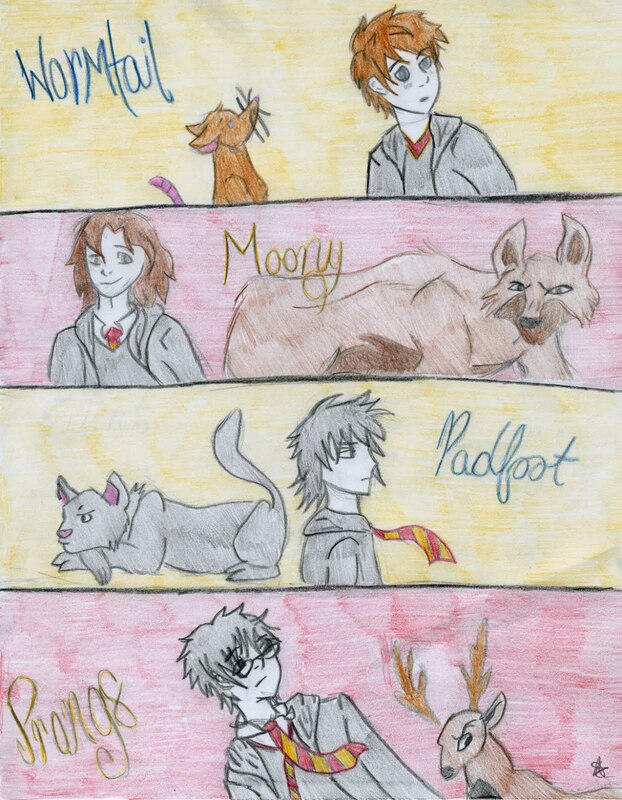 Yay, the Marauders! I especially love Padfoot and Prongs- Sirius's hair is awesome! I also thought that she did a fantastic job capturing their personalities. They're just how I pictured them in my mind.